Happy Halloween! I plan on being back with our freezing day festivities (it SNOWED this morning in Chicago) later today but morning today is starting off low-key and is that deceptive cold because it is beautifully sunny outside. I’m perched atop the famous green ball, just because it makes a good chair. I’ve given up on doing all things to get baby out. Seriously. He is clearly on his own schedule and the stress is just making me nuts, I only had a mini-meltdown last night thinking Hector may not be around when I need him and my level of uncomfortableness wasn’t as bad as the day before (not sure if that is positive or negative…). My friends are incredible, I received several check in messages from my momma’s and they all were just perfect. Last night we tried accupressure points (Hector has been awesome, it really actually made me feel very relaxed, but alas, still preg), walking and resting yesterday – nada. I have an acupuncture appointment tonight, so I’m doing all I can do and that… Is that. 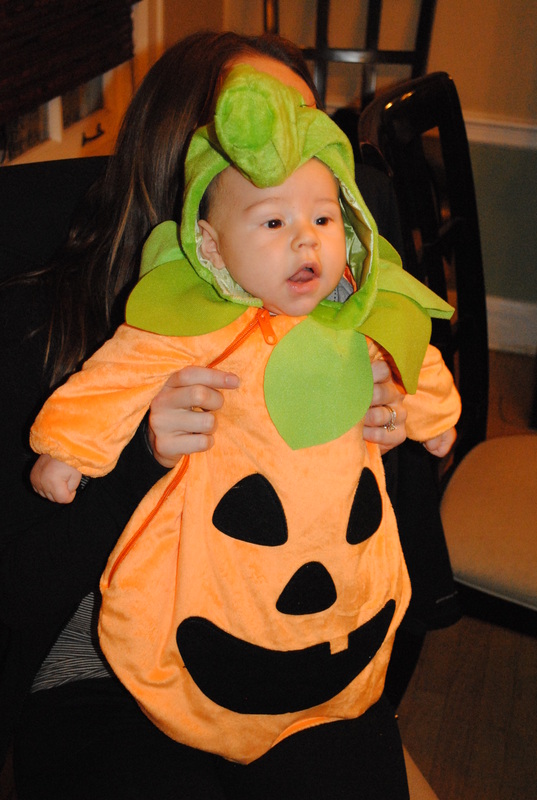 We are going to run out this afternoon to get Evan a costume. I cannot believe he doesn’t have one!! On a scale from 1-10 I feel terrible to a 9 on this, but I did look around! I’m sooooo bummed I didn’t get him that darn Dragon costume! He does have pjs but of course last night he wanted to wear his american flag t-shirt so he isn’t even wearing those right now. Oso has some PJs too so I can’t wait to squeeze him into those and take some skeleton pictures with my piles of bones dudes. 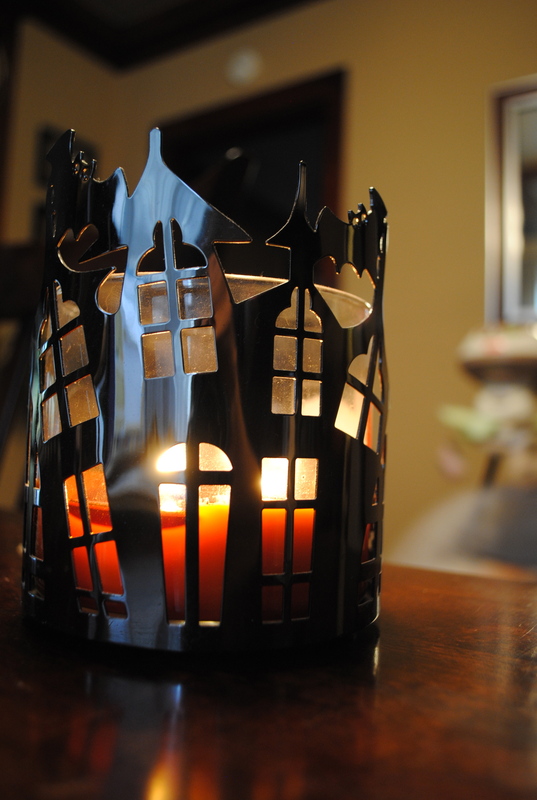 And we bought a new candle for my haunted house. So throwbacks it is today. I think I might even stop at TJs for a couple of pumpkins to carve and toast pumpkin seeds. May as well keep busy? 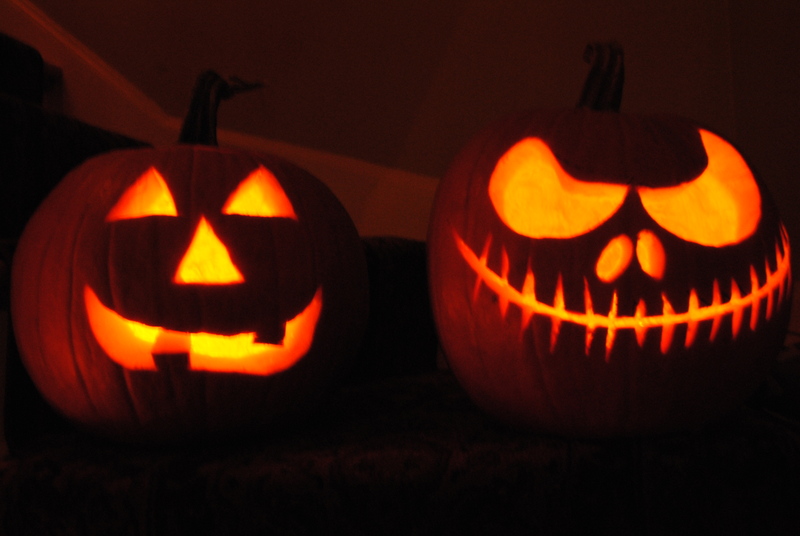 What are your Halloween traditions? My family has always decorated, dressed up and done pumpkins! We are a festive bunch that loves this time of year! I’m thinking maybe even baking something since it is so cold, pumpkin bread or something – who knows. Cookies? Maybe I’ll call call the cookie queen, Colie Molie. We might even stream Hocus Pocus in the background all day – Evan actually LOVES that movie! Ha. What do I do with a toddler on a cold day like today? Anyone know good places he can score some candy? Not that he needs any – he might just get a trip to Grandma’s house or a surprise stop at Auntie Joanna’s and the MARS factory. Who knows! Till a bit later my friends!